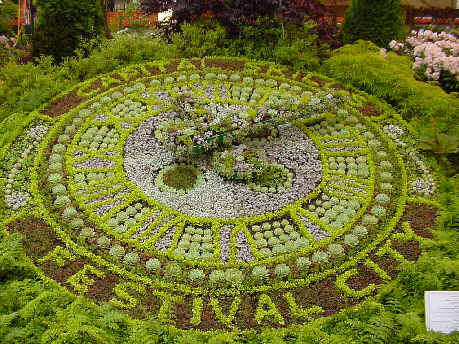 This is a picture of the Floral Clock in the Princes Street Gardens. Or it would be if it had actually been taken there. It is in fact a mock up of the clock taken at the Scottish Garden and Flower show exhibition. The real floral clock photograph would show that it is made up from thousands of flower types and is the oldest in the world. Its mechanism consists in a mechanical cuckoo calling the hour.